Firstly, I must just say hello as this is my first post. I am a serving Metropolitan Police officer of 22 years. I have done my fair share of street work but have also done Diplomatic Protection (DPG) & Royalty Protection. 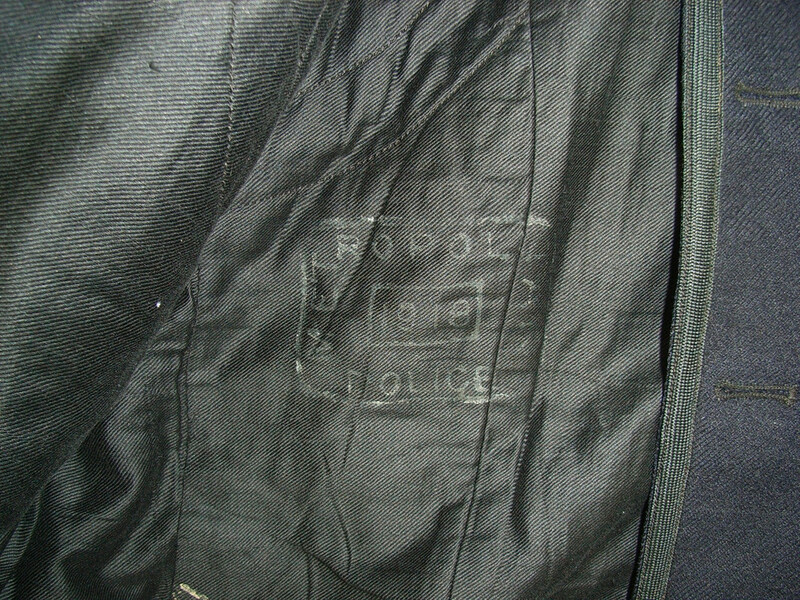 back to this topic, I was hoping someone could help with some information on a police tunic I'm just about to aquire. I still need to sort some pictures and work out how to post them so forgive me for not posting any at this time. The tunic is apparently a Met high collar type and comes with a helmet with the King George helmet plate so must be dated between 1936-52? That being said, the tunic has four (4) Met buttons on the reverse, two (2) at waist level and two (2) at the bottom on the tail. 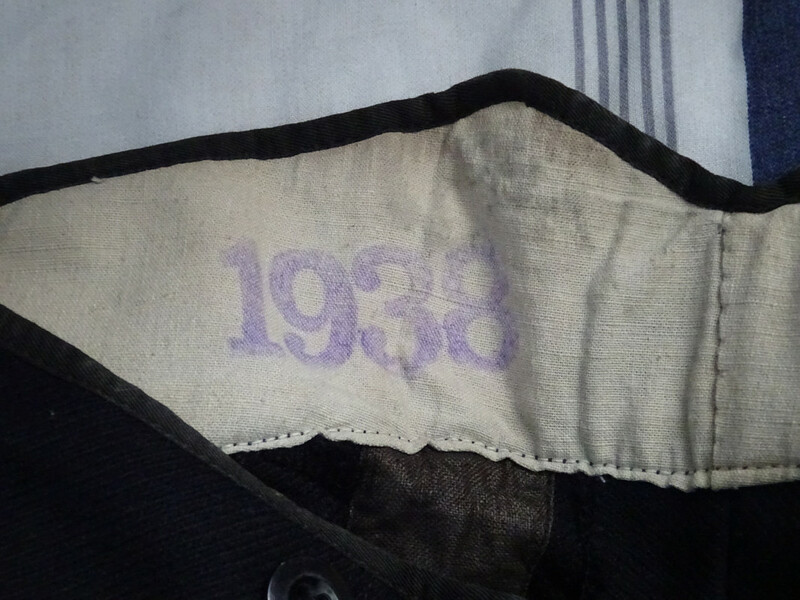 Is this correct for a Met tunic of that date? lastly, the collar number is 689.K which I think was West Ham division. Could anyone give me some history of this officer as I would love to know a little more. This is the helmet which comes with it. Nothing apparently wrong with the tunic or helmet. 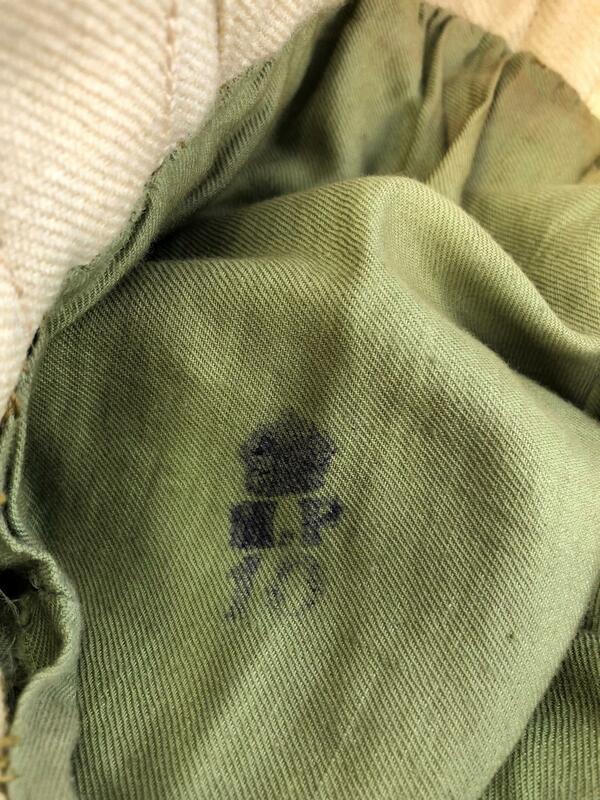 It appears to be of the pattern called the No:- 1 tunic/uniform which was worn on ceremonial occasions through to 11th November 1972 (think I have the date correct), when they were withdrawn. 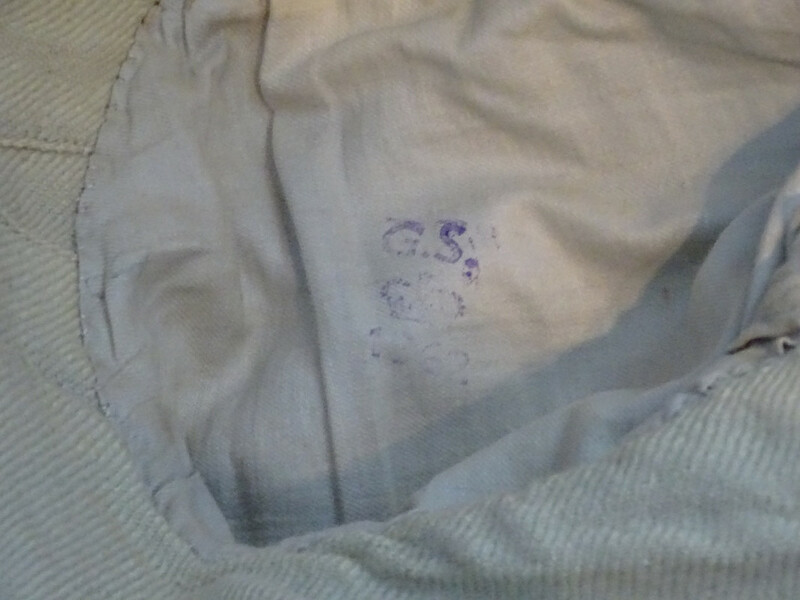 If you look inside the sleeve you should find some stamping in blue ink (The letters "MP" and the Crown together with a year). The year shown is that in which the tunic was issued. The helmet would have been worn (quite correctly) with the tunic. 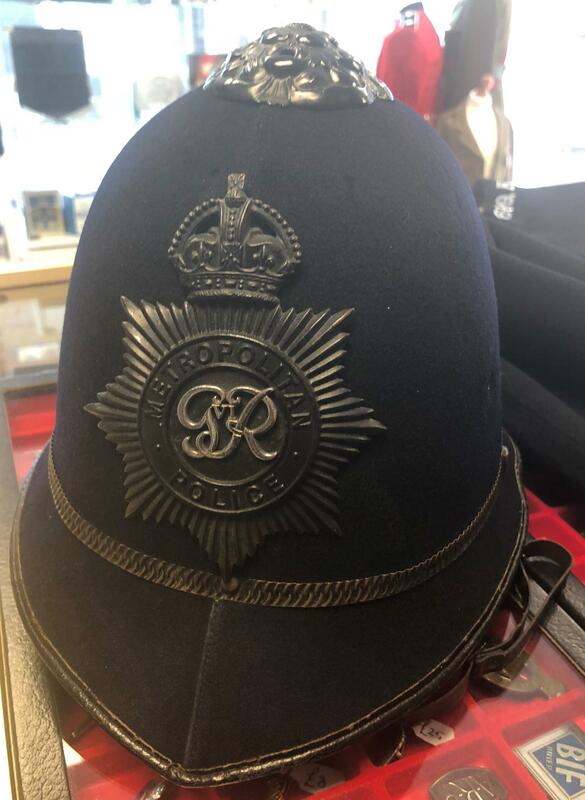 If you look at archive photos/film of the Queen's Coronation, you will see that this tunic and helmet were worn on the day by Metpol. Sergeants and Constables. Hope this is helpful. Ps. Forgot to mention that the tunic would have been worn with a black leather "snake" belt. Hi Dave, thank you for taking the time to reply. It's put my mind at rest. I have not yet taken ownership of it so don't have it to hand. The pictures are ones the dealer has sent me. I've just contacted the dealer asking about the MP ink Mark. They have sent back the picture shown but I can't make out a date. Just what looks like a 10. The size maybe? Or could this really be the year which would be exciting. I've been looking for a belt to complete it but no joy so far. I don't think the "10" relates to the year of issue. It may be the size. 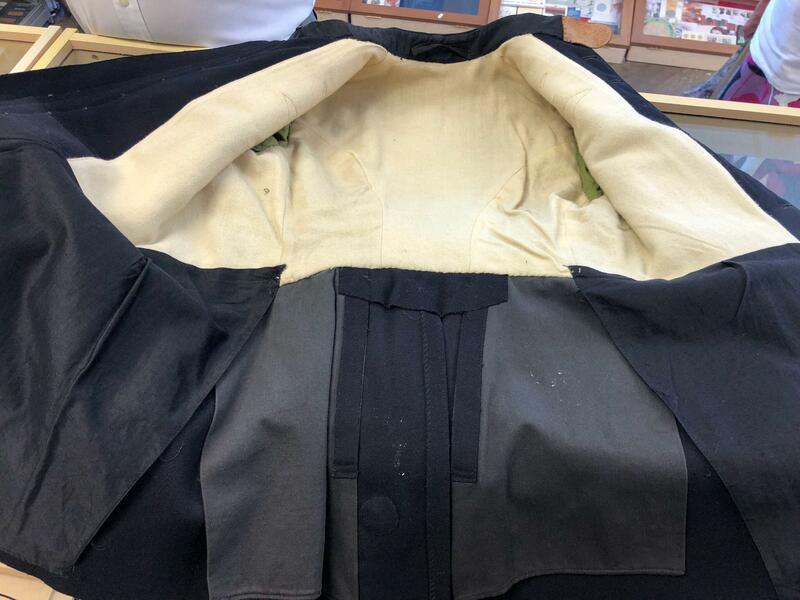 When you get it, closely examine the lining and some other markings may be revealed. Police Orders dated Thursday April 9 1936, No:- 3 announced that chrome plated buttons etc were to be fitted to new issues of clothing. 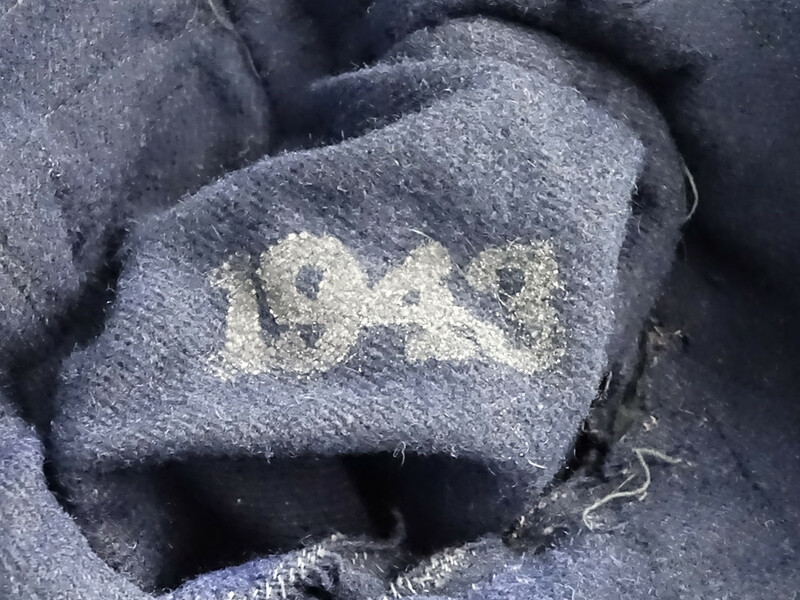 Your tunic has on it chrome plated buttons (as opposed to the earlier white metal version which required polishing), so it post dates 1936. I hope this is helpful. Thanks again Dave for all the info. I really appreciate it. I know a lot more about it now thanks to you. 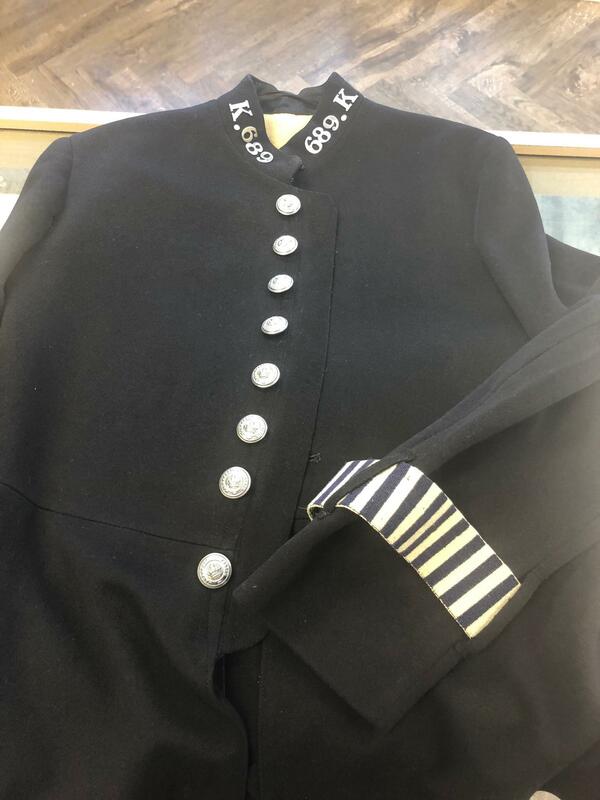 First things first - having worked in the costume industry and enjoying living history as a hobby - unless the provenance is impeccable, etc, then don't be fooled by the buttons/insignia a tunic like this has on. 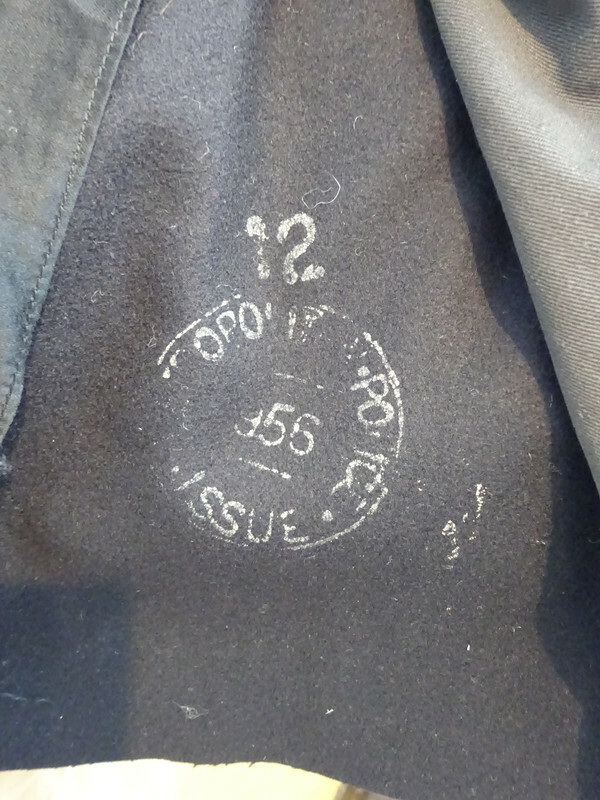 As the pattern had been largely unchanged since the 1850's when introduced they still enjoy plenty of use representing Police of earlier periods from when the jacket itself might have been made. 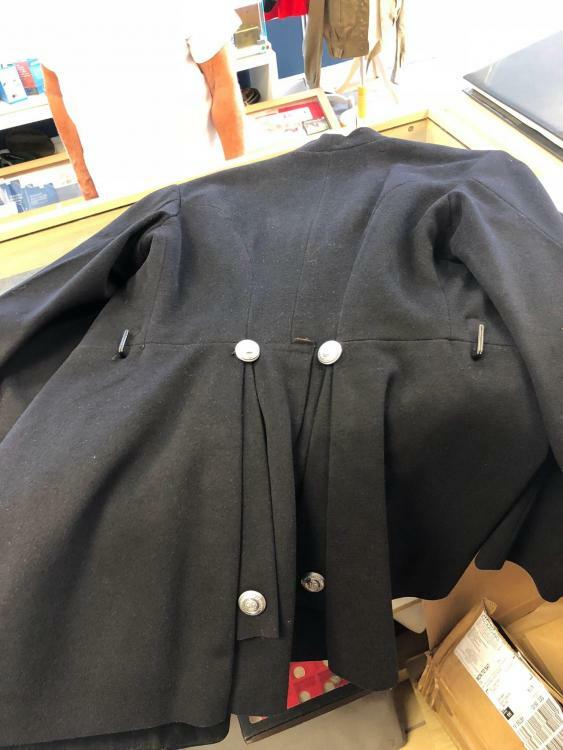 My own jacket (mentioned below) I use for Ripper era is a good example. Having said that, nothing from the pictures you posted screams wrong, so you might have a nice untouched original set up. Thank you for taking the time to post your info. It's all very welcome and every day's a learning day so help like this is invaluable. The only other picture the dealer sent me was this one. There is a seven (7) in white on the tail by the looks of things. To the right of that there is what appears to be more white marks but this is completely unreadable. I will contact the seller tomorrow armed with your info and ask if they can kindly look for a date. Can anyone throw any light on the officer who wore this? 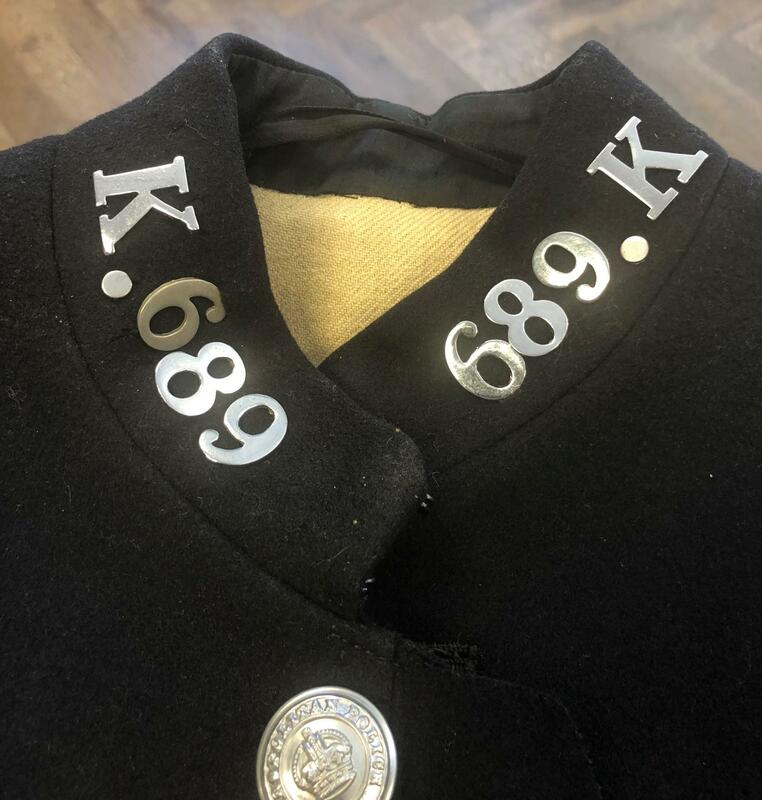 689.K is the collar number. K=West Ham division? It would be great to have a little history to go with it. I would not hold out much hope. His warrant number would be the key to identification. As I understand it divisional numbers were/are re-issued, so over a period of time (in theory) several individuals could have used that number. Someone with greater knowledge than me may be able to narrow the field down for you. Thanks Dave, I thought as much. Same as it is today then. Shame though, it would of been nice.